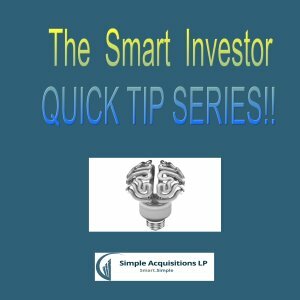 Welcome to another segment of our Smart Investor Quick Tip Series. An exit strategy is one of those very common phrases you hear in the real estate investing world. An “exit strategy” is choosing how you will hold/dispose of a property. Are you flipping, doing a buy & hold, doing a repositioning, etc. I feel it’s always important to identify more than one strategy for a property. Because not everything that we plan happens as we envision it. 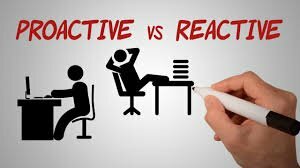 Reactive people typically decide their course of action only when a situations arises. This can sometimes mean they end up making emotionally charged decisions. Or sometimes they make decisions too quickly without taking the time to really sit back and assess the situation logically. Proactive people on the other hand, create situations they want by planning them ahead of time. They decide their goals beforehand with careful thought and set things in motion to make their goals a reality. One of the most important decisions you can make as a real estate investor is to identify your exit strategy (or strategies) BEFORE you buy. Being a proactive investor helps reduce risk. Your exit strategy should be based on a combination of many things. So always plan your out before getting in a real estate deal. That’s the Smart Investor quick tip for today from Simple Acquisitions.